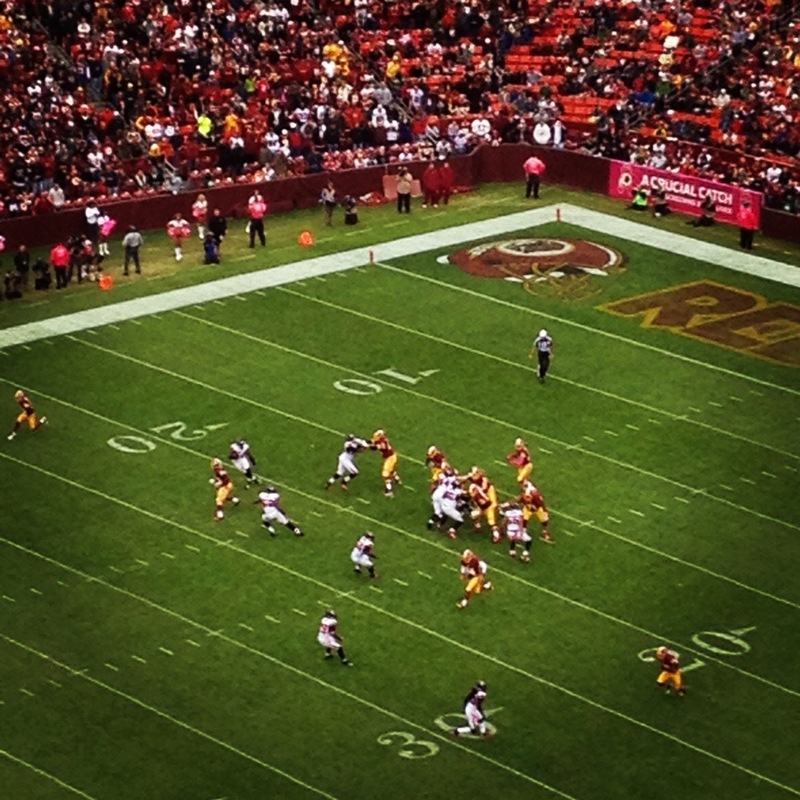 I went to the Redskins – Chargers Falcons game today with my friends Alison, Jason, and Mike. As always happens when I go to football games with Alison, it rained and the Redskins lost. I’m sure that one of these days she’ll reject me as the hideous jinx I clearly am, but until then, I’ll keep going and keep having fun. Updated to list the correct name of the team I saw, as noted in the comments below. I did know who I was watching at the time, I swear. Just had the game currently in progress in my brain as I typed, apparently. Even though I’m watching the Orioles. Must be Twitter’s fault. Yup. Was reading about Saints-Chargers on Twitter and ended up typing the wrong thing. Thanks for the catch.